I made this to go along with our unit on rocks. This is part of the homework that is sent home that week. 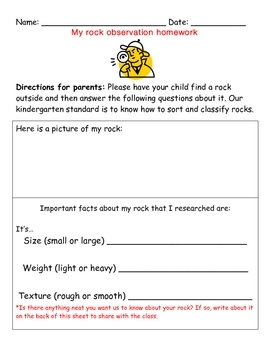 The student has to find a rock and then fill out the sheet accordingly. Enjoy! !